Everything tech at South by Southwest 2018. Susan Wojcicki announced plans to use 'information cues' to combat hoaxes. YouTube's presence at SXSW 2018 extended beyond its Story HQ, a space where it turned ads into videos that feel more like art. The company's CEO, Susan Wojcicki, was part of a panel at the event titled "Navigating the Video Revolution in the Digital Age." There, she talked about a wide range of topics, including experiments for YouTube's comments section and how much money creators are making. But the biggest news Wojcicki dropped on stage was about a new feature she called "information cues," which will help fight hoaxes by linking viewers to articles on Wikipedia that debunks those. Wojcicki said that, in the next few weeks, YouTube users will see a text box below conspiracy-related videos that'll point them to stories that offer a different point of view. The news comes only weeks after YouTube was under fire for showing a hoax video about David Hogg, one of students who survived the recent Parkland, Florida school shooting, in its trending section. Last year, the company dealt with a similar issue after the mass shooting at a Las Vegas music festival, so Wojcicki hopes that this new tool can help mitigate the problem. On a lighter note, Wojcicki touched on how YouTube is trying to make its comments section safer and more interactive. She pointed to an experiment that it's doing, in which they can all be scanned and then commenters can direct each other to the best parts of a video. Wojcicki said this would allow viewers to easily skip the "boring parts" of whatever they may be watching on the site. The moderator then asked her if she was worried about creators leaving YouTube for other platforms like Facebook Watch, which promises to pay them more. 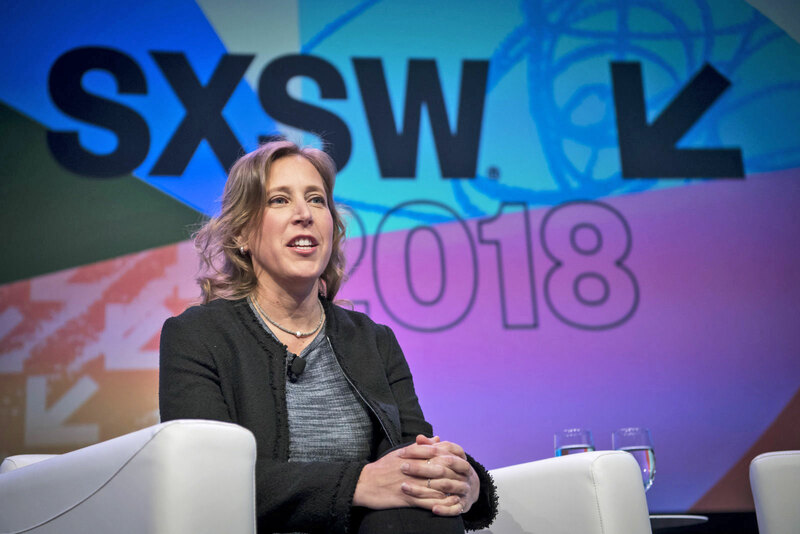 Wojcicki said she wasn't worried about it, and noted that YouTube has seen a 43-percent increase in creators who are now making six figures. As for what's next, Wojcicki said YouTube is keeping a close eye on emerging technologies like augmented and virtual reality, as those mediums offer the potential to make the relationship between viewers and creators "even closer." The CEO ended by saying that YouTube has no plans to charge some sort of a subscription fee for its entire service, as the nature of the platform is to be free. Wojcicki said that what the company can do is "upsell" to offer deeper interactions, which is what it is already doing with YouTube Red. Catch up on the latest news from SXSW 2018 right here.